Oggi parliamo della scultura più famosa della città di Chicago: The Bean. Nato nel 2004, è subito diventato uno dei posti più famosi in tutti gli Stati Uniti, soprattutto per farsi una bella selfie! Leggi il seguente testo e prova a rispondere alle nostre domande! To many, this stainless steel piece is a work of art – but to tourists, it’s the best opportunity for a selfie. 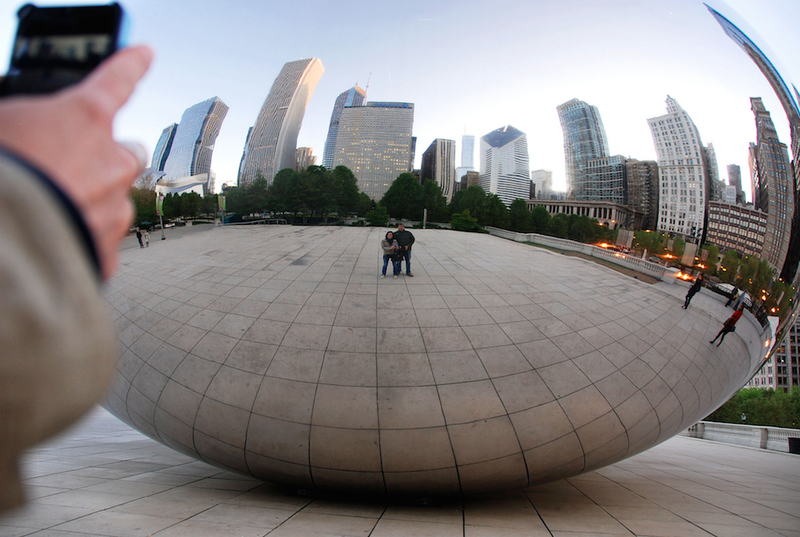 The Cloud Gate sculpture, or ‘the Bean,’ is one of the top sights to see in Chicago. The bean is a large public sculpture that was unveiled at the opening of Millennium Park in 2004. It now serves as a famous symbol of Chicago and is one of the city’s most photographed attractions. The Bean is one of the best ways to take a photo of Chicago’s beautiful skyline while simultaneously posing in the photo. Designed by artist Anish Kapoor, the work was selected out of two proposals submitted in 1999 for Millennium Park. At first, many Chicagoans were skeptical of this piece of metal – especially since the structure was under construction during the inauguration of the park in 2004. Anish Kapoor did not completely finish the sculpture until May 2006 when it was finally displayed. 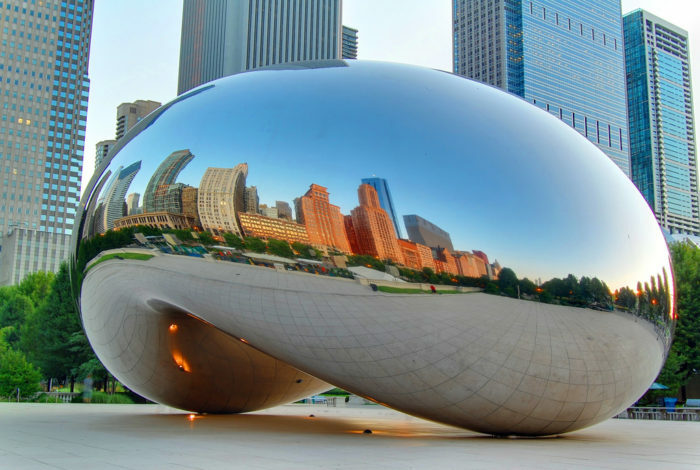 Even before it’s official title, Chicagoans were quick to dub the reflective steel sculpture ‘the Bean’ after its peculiar shape. However, it’s official title is ‘Cloud Gate’ since 80% of its surface reflects the sky and bends the reflection, like the shape of a gate. Today, The Bean is extremely popular and visitors have the urge to touch the sculpture’s silver surface. Cleaners come twice a day, once in the early morning, and once at night, to polish and clean the piece. Meanwhile, there are cleaners who come to get rid of fingerprints up to seven times a day! The Cloud Gate is an icon of Chicago, and one of the best attractions the city has to offer. Ora vediamo se hai capito tutto il testo con le domande True/False. The project’s design was first created in 2004 by Anish Kapoor. False! It was actually designed in 1999 when it was first submitted. The Bean is washed once a week. False! It is washed twice during the day and once at night. The sculpture was finished for good in 2006.